The buildup of cholesterol in the arteries represents a very dangerous disease called coronary artery disease, or CAD. When the inside layers of the arteries become blocked, the flow of blood is restricted. This can result in weakened artery walls, not enough blood flow, or a heart attack. The hardening of the arteries, or arteriosclerosis, occurs when cholesterol or fat is carried by the blood stream and deposited in the arteries. This can result in blockage due to a blood clot or to a piece of plaque that becomes dislodged and flows to a smaller artery. There are several factors which contribute to CAD, many of which are controllable and some of which are not. 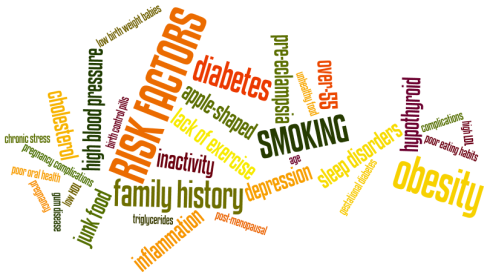 These factors are commonly referred to by the health industry as risk factors. Aging is a major risk factor, as blockage in the arteries occurs as a natural result of growing older and time. CAD can be a result of genetics, especially if someone in the immediate family suffers from CAD. Males and post-menopausal women are also particularly prone to CAD. Other diseases like high blood pressure, diabetes and high cholesterol can contribute to the likelihood of CAD. There are many factors that contribute to CAD that are behavioral and can be changed. Smoking greatly increases the chances of developing CAD, as does eating a diet rich in fats, oils and lack of exercise. By increasing blood flow by removing minerals deposits and heavy metals from the body, liquid chelation therapy from Cardio Renew can assist in addressing coronary artery disease conditions. Please visit our Product Information page to review our packages and prices. Other pages, including our Frequently Asked Questions provide additional information so that you can make an informed decision.